From a visit to Portland a few weeks back and going to Nectar frozen yogurt. Is this one listening to you or monitoring your diet? I got a combo of chocolate and pistachio instead, which was delicious. 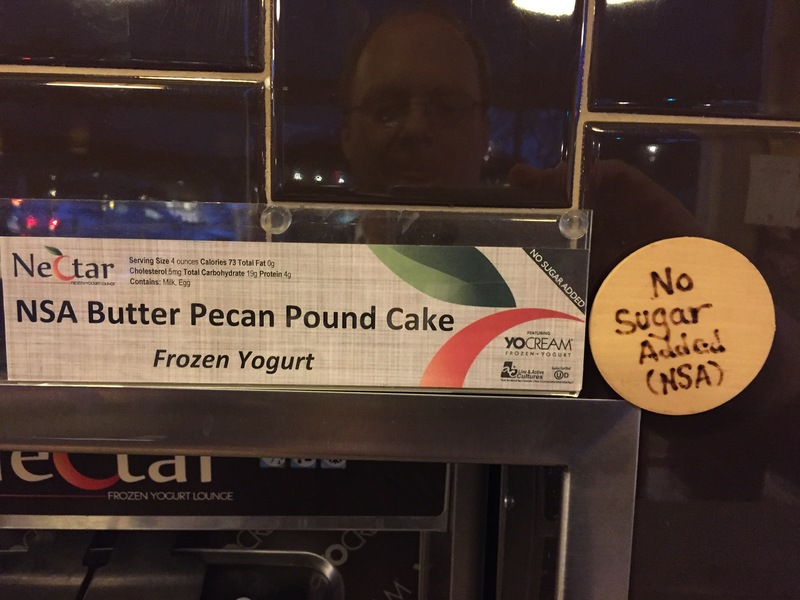 This got me thinking of course whether all those folks at the NSA “listening” to us have their very own fro yo service at their commissary so they don’t have to go out for a treat and stop their surveillance. If so what might the most popular flavor be? Bug? Listen to my frank interview on Pod Delusion on the legal and political status of stem cells in the U.S.
What does the future hold for Texas stem cell clinic Celltex? Take our poll! Do Human Lab Rats Dream about Science?